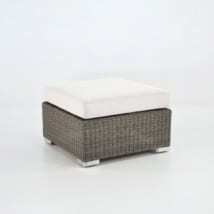 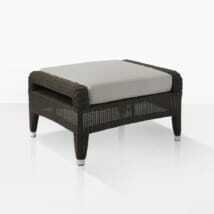 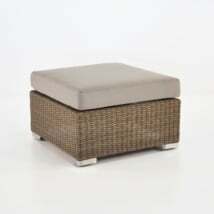 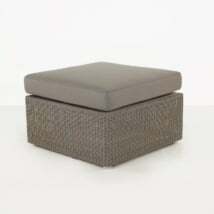 Put your feet up and relax on one of our fabulous Outdoor Ottomans. 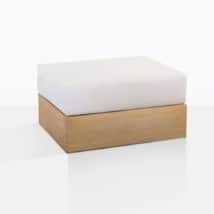 Available in a range of delightfully different materials and luxurious styles, the Ottoman collection will have you sitting back watching the world go by in no time at all! 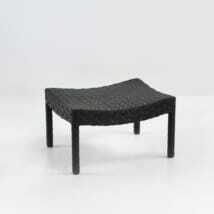 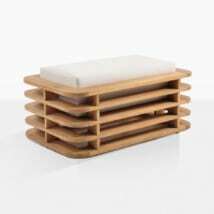 This brilliant addition to our Deep Seating Collections has many uses! 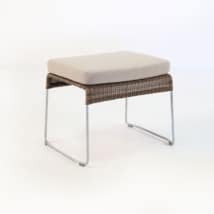 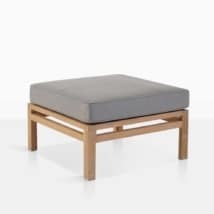 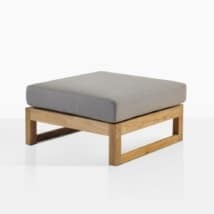 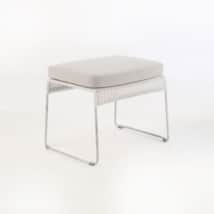 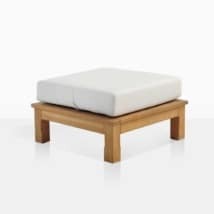 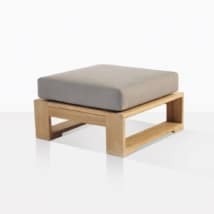 Whether you require an extra seat for casual dining, or want to make a chaise-like piece at the end of your sofa, or simply desire to rest your feet after a hard day at work, or an extra seat for parties, the Outdoor Ottoman has got you covered! 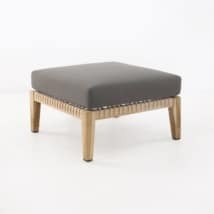 From the clean lines of the Havana Grade A Teak Ottoman to the fun Mid Century vibe of the ample Zambezi Wicker Ottoman, we have many styles and materials for you to choose from. 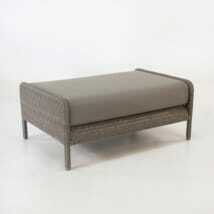 Perhaps your area is calling for low lying comfort. 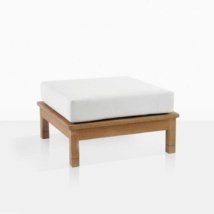 Why not put 2 or 3 Coast Teak Ottomans side by side for a long fabulous day bed you will adore. 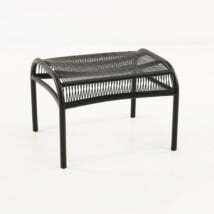 Lay out and take in the beauty of your surroundings. 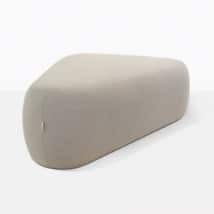 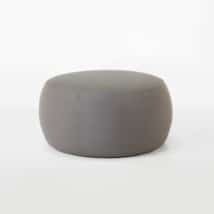 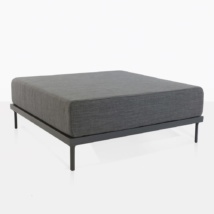 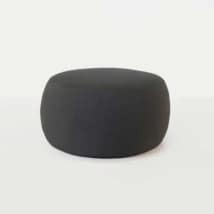 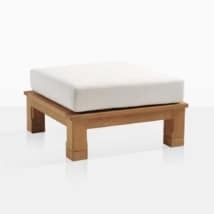 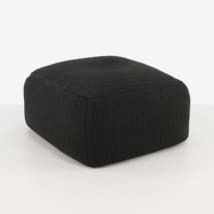 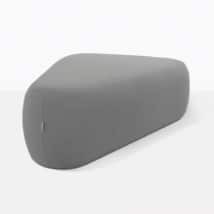 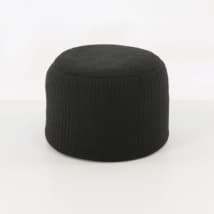 Our Fuji Relaxing Pouf is an Ottoman with a difference. 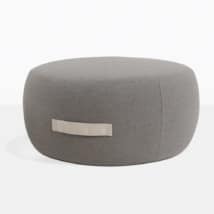 A large round structure entirely covered by outdoor Sunbrella© fabric, it’s so comfy and attractive you can use it inside as well as out! 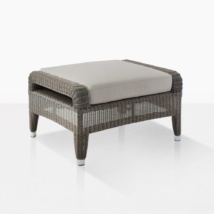 Have the classic St Tropez suite? 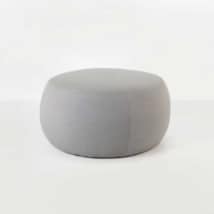 You can’t go past a couple of St Tropez Ottomans to finish off the look, add more seating, and get you spending time as you should: relaxing in style. 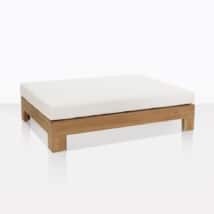 Teak Warehouse has a huge range of Ottomans, Sofas, Loveseats, Loungers, Umbrellas, Dining Tables and Chairs; and all for the great outdoors! 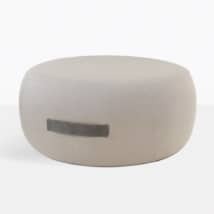 Call us today to discuss what pieces will work best in your home, our sales assistants are happy to answer any questions, make suggestions and prepare a quote for you!